Begin your routine with the award-winning Optimal Skin ProCleanser, a luxurious 3-in-1 skincare essential. Follow the cleansing ritual with the Optimal Skin ProSerum, an intensely nourishing and strengthening serum that enhances the skin’s natural moisture barrier. Lock in the benefits you have already achieved using this lightweight, responsive moisturiser, designed to balance the complexion as well as deliver long-lasting hydration. 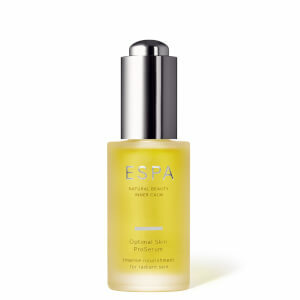 For complete inner radiance and beautiful skin, our bodies cannot be neglected, enjoy this intensely nourishing body oil that brightens and evens skin tone. 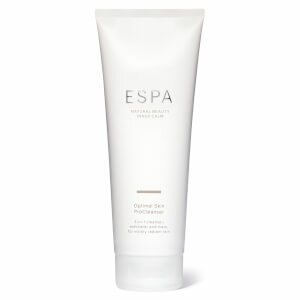 Discover the route to radiance with the ESPA Optimal Skin Collection. Find out the benefits of the natural ingredients that enrich the Optimal Skin Collection.